The year of 2018 is almost half gone. Let's look back and see our new products during this period. Guess what's this? 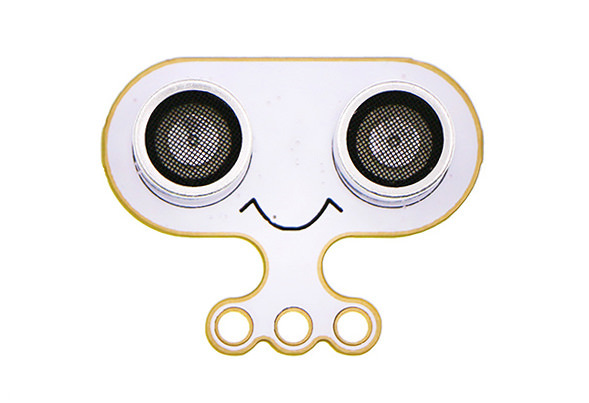 This is a frog-like ultrasonic module. It is the most lovely board you've ever seen. The two eyes in the front are for ultrasonic sending and receiving. You can fix this module on your smart cars and use it to measure distance or avoid barriers. It is so much fun! 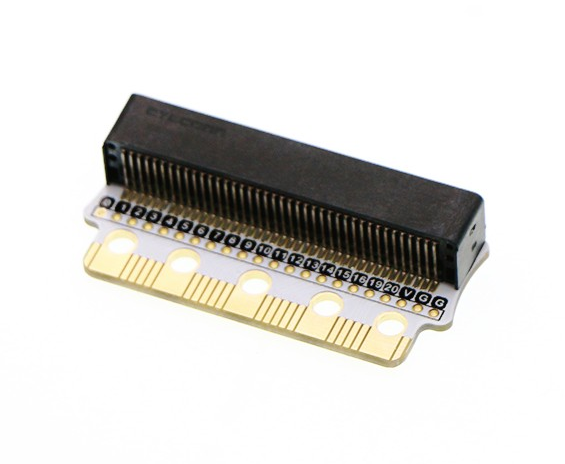 This is a good protect for your micro:bit golden finger. We design this module with the aim to help those who want to do thousands of micro:bit experiments or tests. With this protection, your micro:bit is not naked any more. It is well protected and greatly prolongs its life span. Robit is a perfect companion for your smart cars like mBot. 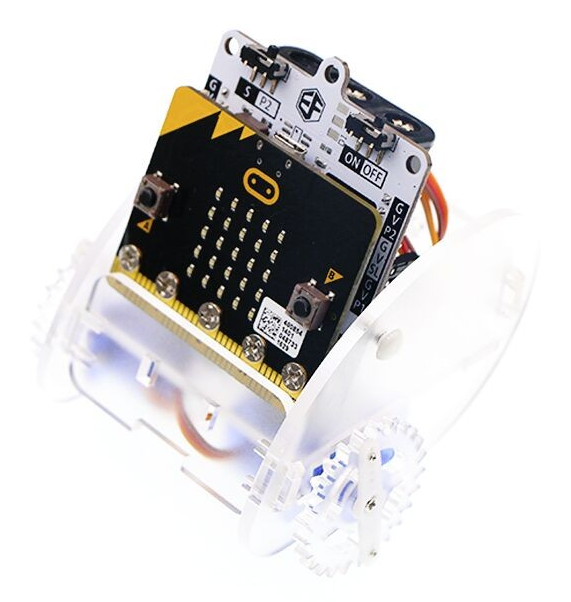 You can plug in your micro:bit on the top and connect with two stepping motors(or 4 DC motors) at the same time. This module is quite powerful to drive your smart cars! Can you figure out its difference? It has 5 holes in the front just like micro:bit. That means you can fix your mciro:bit onto this board and regard it as a power supply. In the back of this board, you can see a battery holder. Just put in 3 AAA batteries, then your ring:bit car will come to life! We can see from the picture above that this small car combines micro:bit and ring:bit together. Supported by 3 AAA batteries, it is quite ready and powerful to start a long journey! Why it is called basic:bit? Because it has the most basic functions you may need. 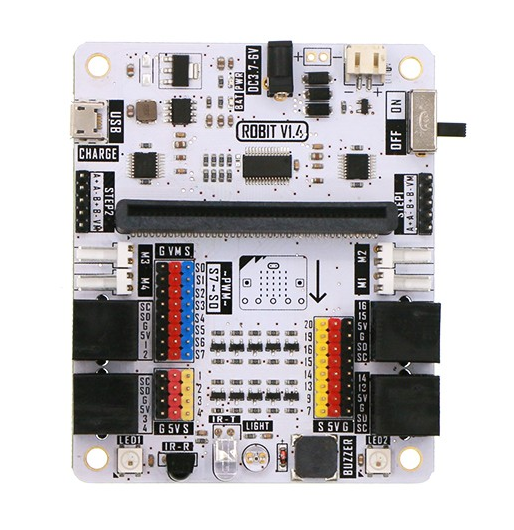 It has 5 ring connectors just like micro:bit. 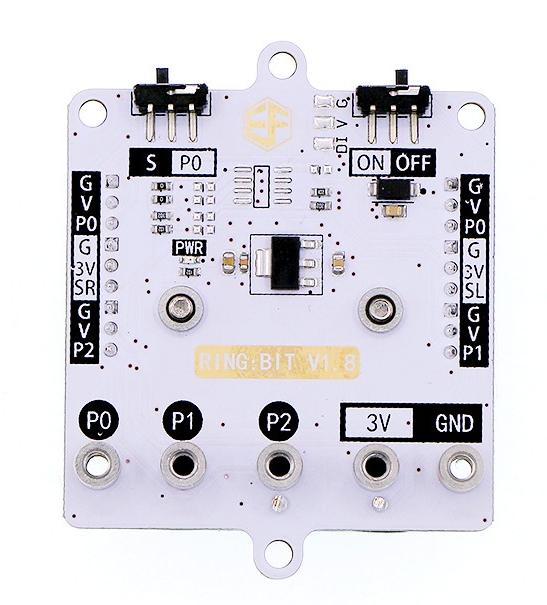 Besides, it has a buzzer in the center, a switch beside, and 3 groups of GVS pins.Small size with simple structure, it is quite enough for you to complete 98% micro:bit projects. 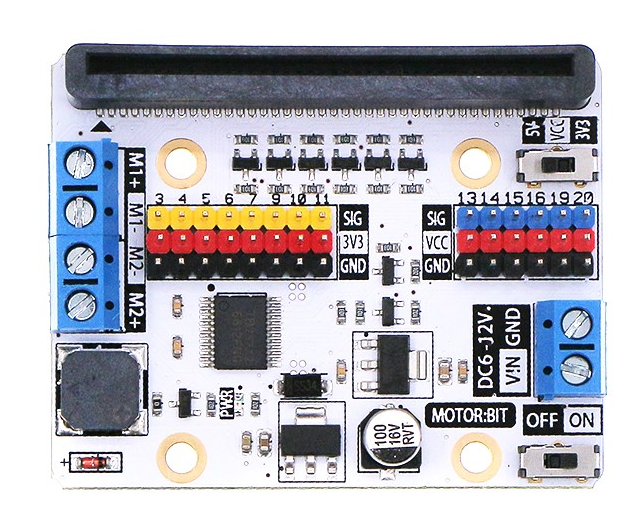 This is a superb motor drive board for your smart cars. 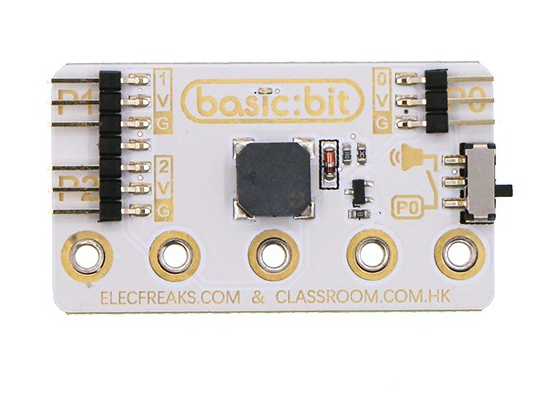 You can plug in your micro:bit just like you did on robit. Smaller than Robit, it is still powerful enough with 2 groups of motor connectors onboard. What's more, it has a buzzer, two switches, and some pins. You can use this board to complete some complex smart car projects. Just do it! The above bits are our recently published new products. Have you found anyone you like? If you do, just tell me by email(louise@elecfreaks.com), or contact us on our Facebook. Stay in tune with us or leave us your comments or feedbacks! More funny products are coming soon!